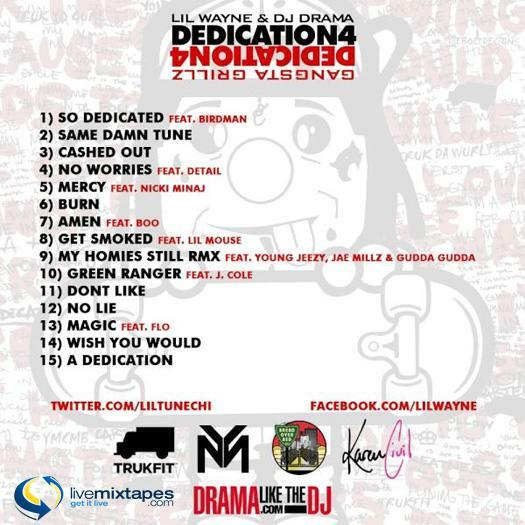 Listen to Dedication 4 (Hosted by DJ Drama), the latest tape from Lil Wayne. It dropped on Monday, September 3rd, 2012. 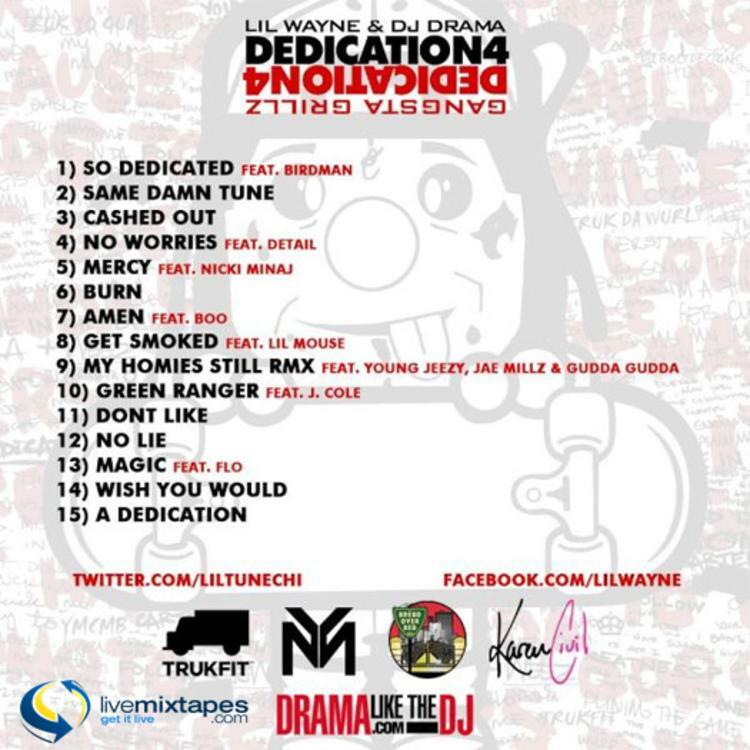 Lil Wayne's future brightens with every new release, and Dedication 4 (Hosted by DJ Drama) certainly isn't an exception. It's a fitting addition to a solid catalogue that Lil Wayne has been developing since stepping foot in the game. We're excited to hear more. The following artists are featured on the project: Birdman, Detail, Nicki Minaj, Boo, Lil Mouse, Young Jeezy, Jae Millz, Gudda Gudda, J. Cole, Flow. 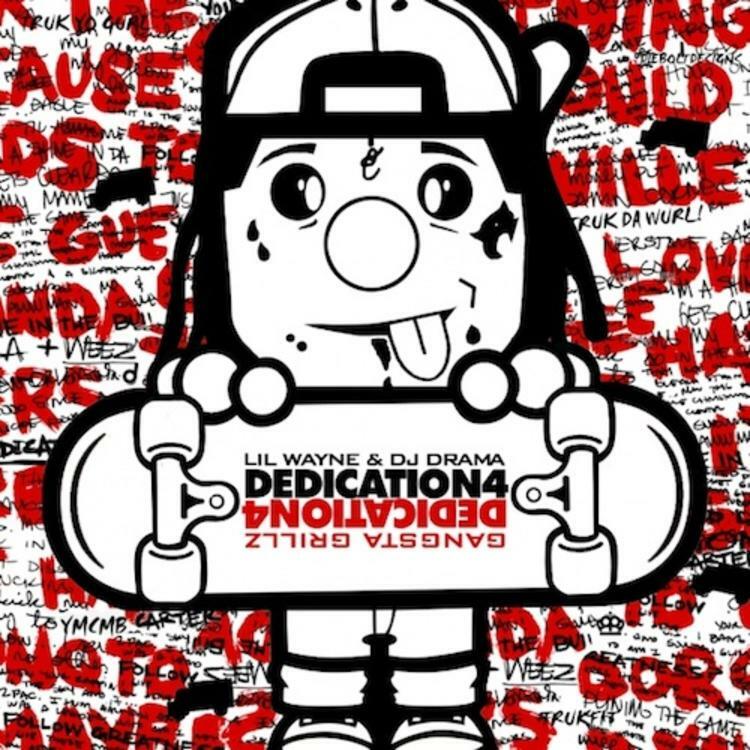 Visit our mixtape section to stream and/or download Dedication 5, a project released by Lil Wayne on Sunday, September 1st, 2013. It features songs such as So Dedicated feat Birdman, Same Damn Tune, Cashed Out.